Paulina Gazin ’16 (Russia/Ukraine/United States) decided to attend the prestigious University of Pennsylvania following an outstanding six years at TASIS that also yielded acceptance letters from Cornell University; Duke University; University of California, Berkeley; University of California, Los Angeles; University of California, Santa Barbara; and Northeastern University. Fluent in English and Russian and an advanced Italian student, Paulina earned an International Baccalaureate (IB) Diploma at TASIS and departed with two of the School’s coveted Graduation Awards: The Valedictorian Scholarship Award and The Cynthia Whisenant Award for Excellence in English. She has yet to decide on a major at Pennsylvania and credits the breadth of her education at TASIS for making the choice more difficult than she thought it would be. Paulina was a student leader for Nuovo Fiore and called her three service trips to Addis Ababa her most memorable experiences at TASIS. She also captained the Varsity Basketball team, played the piano, was active in the theater program, and was a Student Council representative. 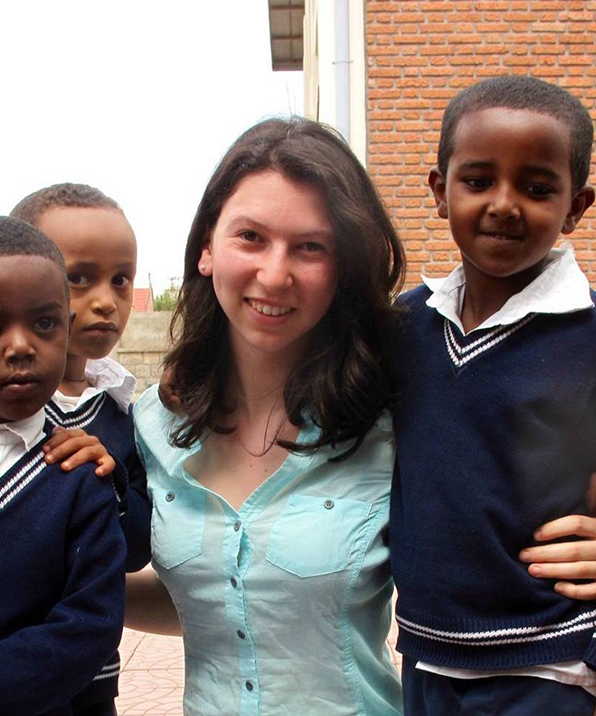 While she is on her way to great things, Paulina knows it won’t be easy to leave TASIS behind. “I will miss the incredibly beautiful campus, the adorable faculty children, and, above all, the friends I have made here,” she said.